Whether you are new to check writing or just need a refresher, here are the basics to know. On the “Pay to the Order Of” line, clearly print the name of the person or business you’re writing the check to. Write the numerical amount of the check in the small box. Cents are written as a fraction, such as 21/100 or no/100. To prevent tampering: If space remains, draw a line to fill out the space. Sign your name on the bottom right-hand line. A reminder for you or your payee. Nothing (it’s OK to leave it blank). 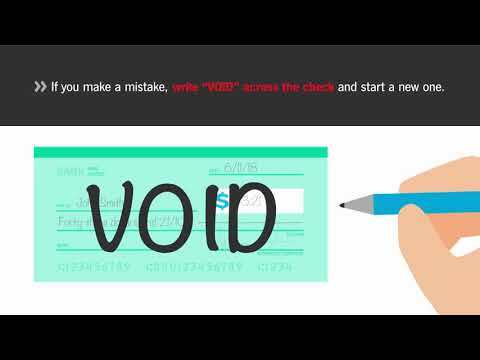 If you make a mistake, write “VOID” across the check and start a new one. The 9-digit code in the bottom left-hand corner is specific to the bank where you have your checking account. It represents the check number that appears in the upper right-hand corner of your check. It’s used to help keep track of check payments on your statement. “For deposit only” (to prevent anyone from cashing it). You may be able to make a deposit electronically using your bank’s app. You may also make a deposit at your bank’s branch or ATM. The bank may require you to fill out a deposit slip, which you can get at your bank or find in the back of your book of checks. Store your checkbook and extra checks in a secure location. Dispose of unused and cashed checks properly by shredding. Balance your checkbook and monitor your account regularly. Notify your bank immediately of any suspicious activity. Routing Number: What It Is and Where to Find It. Give your teens a solid financial foundation by showing these basic budgeting skills.